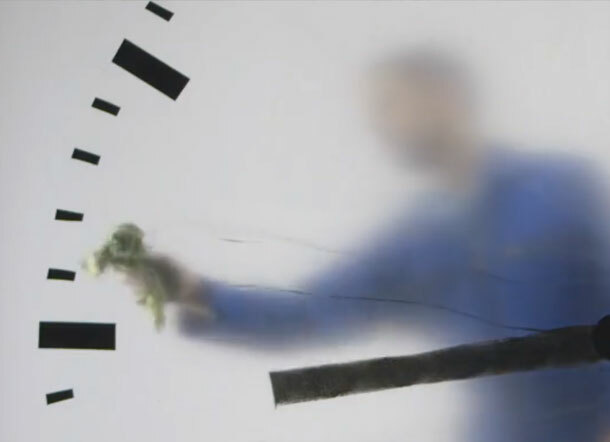 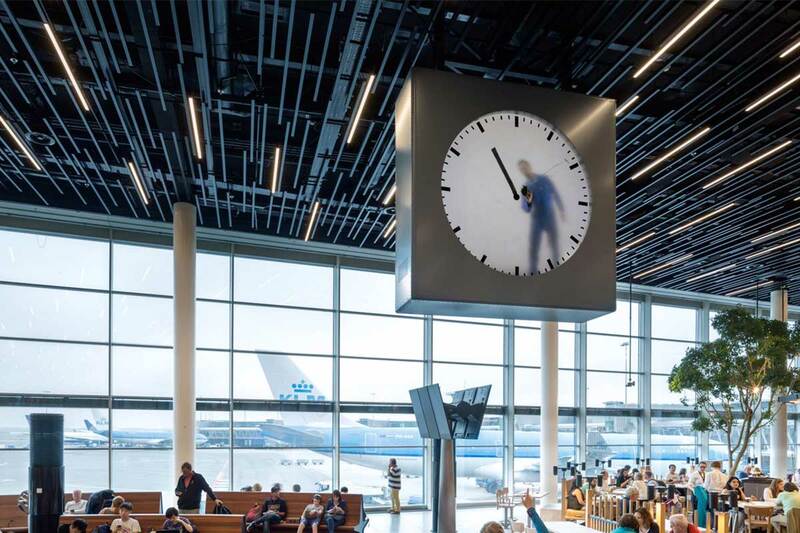 In 2016, Baas created the Schiphol clock in which a working man can be seen painting the time minute by minute. 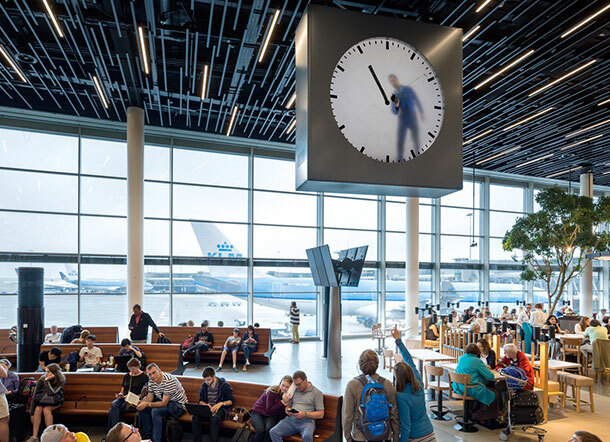 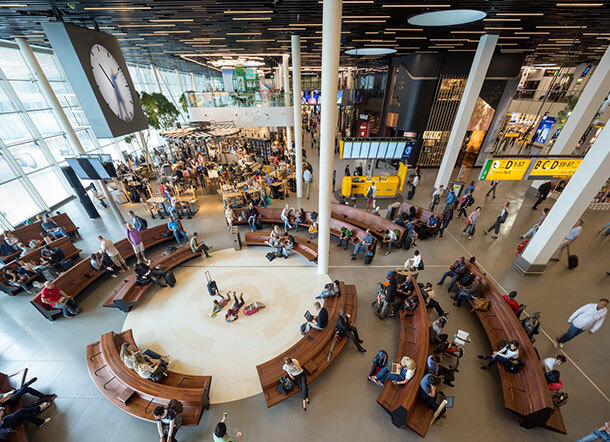 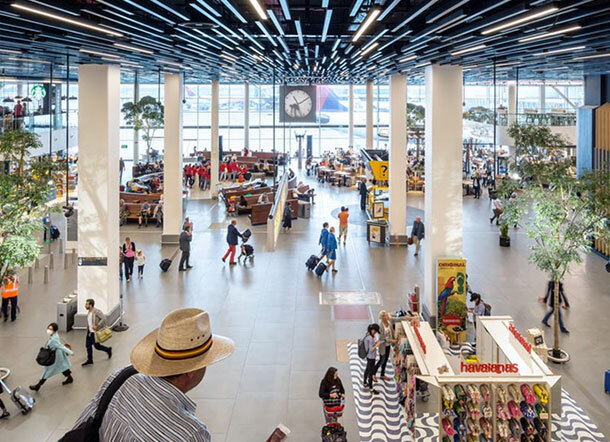 The clock is installed in the international terminal of the Amsterdam airport, one of the last things travellers see before departing the Netherlands. 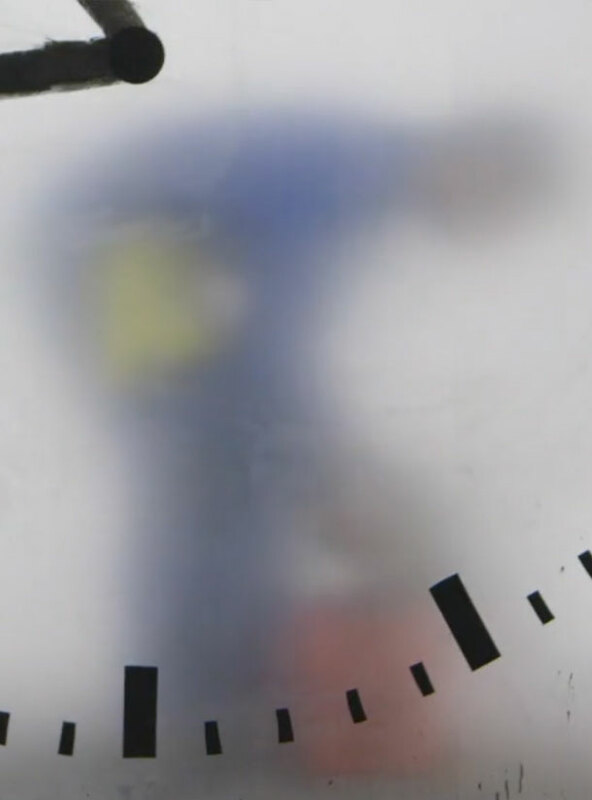 The worker’s blue overalls, yellow rag and red bucket pay homage to the famous Dutch artist, Mondrian.